Squeezed into a rocky tunnel and crawling on hands and knees along a stony stream didn’t really sound like a fun day. 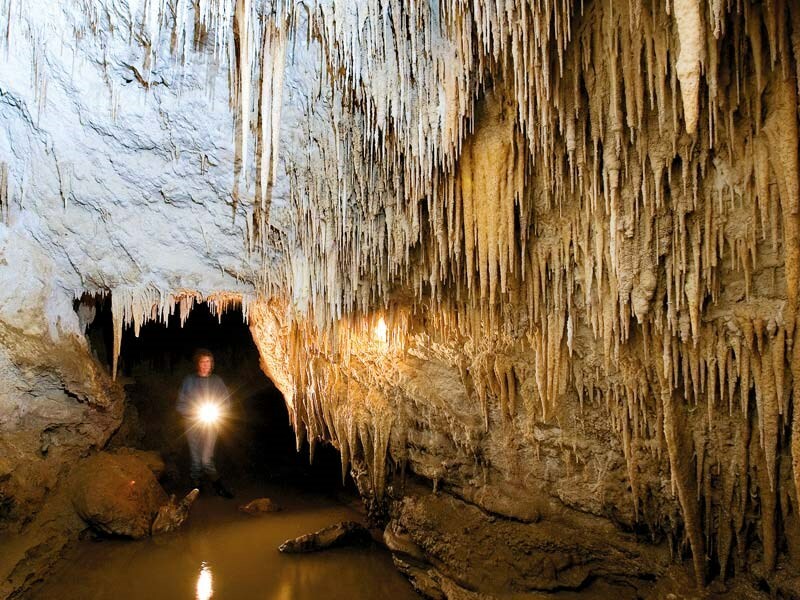 But the reward is to emerge into a stunning cavern larger than a house, it’s ceiling aglitter with myriad glowworms, its walls festooned with shining limestone pillars and forests of pencil thin stalactites. I’ve not yet been able to claim the reward. On the day I drove to the Nikau Caves on the west coast of the Waikato, they were closed. The water level of the stream that threads through the series of caverns was too high to allow access; so for now the experience has to go on my bucket list. "And it’s not for everybody," says Anne Woodward who, with her husband Philip, first opened the caves located on their farm in 1994. "People have to be relatively fit and be prepared to get wet. Although the crawling bit is only for about 12 metres. it’s definitely not the place for claustrophobics." But even if you don’t fit into the crawl category, the journey out to the Nikau Caves Café, where the guided tours start from, is an adventure in itself. It’s dramatic limestone country out there, a landscape sculptured by crags and tors that look like castle ruins. We’d taken Highway 22 from Mercer and headed to Waikaretu (a hall and a small school) and three kilometres further on, just when we thought we might be reaching the ends of the earth, we came cross the Nikau Caves Café set above a stream in an amphitheatre of rock piles and native trees and flaxes. The cafe first opened its doors in 2008, and is now the centre for the guided tour operation, which is largely run by the Woodward’s extended family. Motorhomers and caravanners are welcome to park overnight on a piece of flat land near the vegetable garden. You may well see me there. I certainly intend to go back. 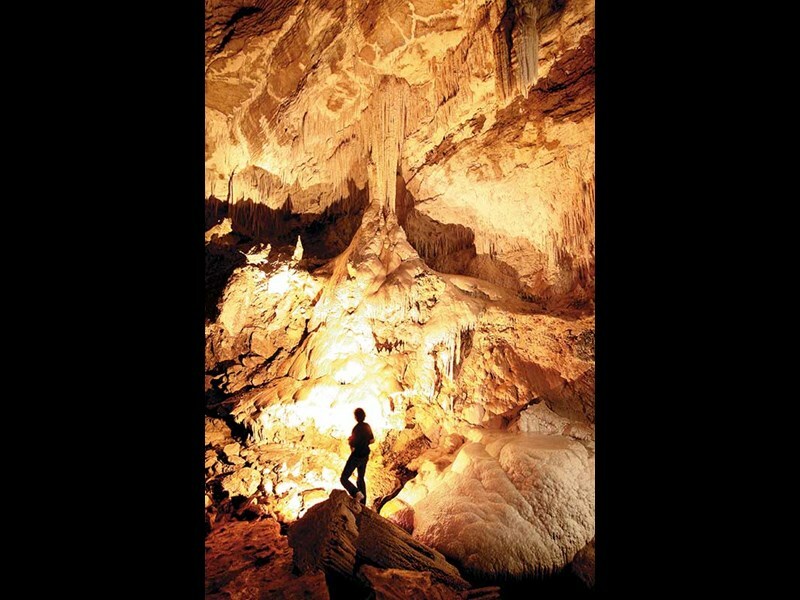 Phone (09) 233 3005 to make a booking for the caves tour or to ask permission to park for the night.